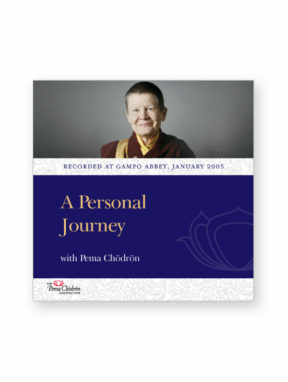 Recorded at Gampo Abbey, January 2005. 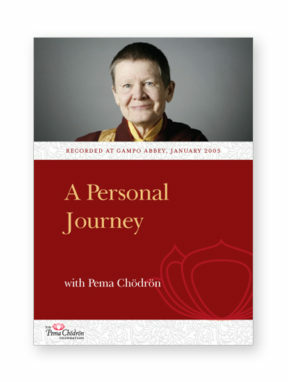 On the 30th anniversary of her ordination as a novice nun, Pema Chödrön shares her path as a practitioner, monastic, teacher, leader, and woman. A major theme is the power and blessing of observing monastic vows and discipline, and how this has served as a support for every aspect of her life. 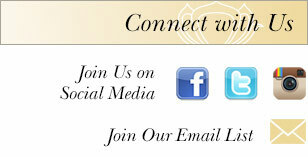 Highlights include receiving teachings from His Holiness the 16th Karmapa and Chögyam Trungpa. 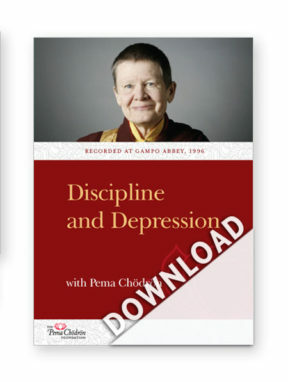 Pema also relates the challenge of being a Buddhist monastic in a secular world, becoming a well-known author and teacher, and her full ordination as a bhikshuni nun. Note: This MP3 audio file cannot be downloaded directly to smartphones or tablets. 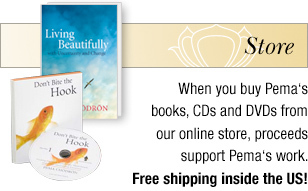 Learn more here: Downloads — Technical Support. These are MP3 files that can be played on your computer. After clicking the link, it will automatically save to your download folder and open in iTunes.